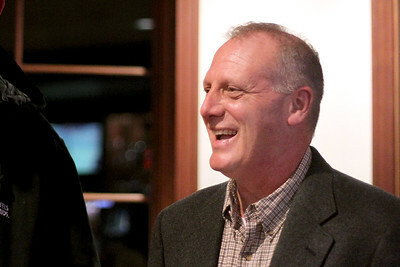 Sarah Nader - snader@shawmedia.com McHenry County Sheriff candidate Bill Prim waits for the most recents results while celebrating at the Pinecrest Golf Club in Huntley Tuesday, March 18, 2014. 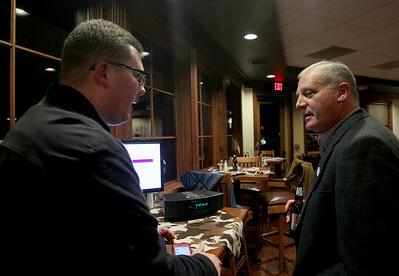 Sarah Nader - snader@shawmedia.com McHenry County Sheriff candidate Bill Prim and his son, Hank check the most recents results while celebrating at the Pinecrest Golf Club in Huntley Tuesday, March 18, 2014. 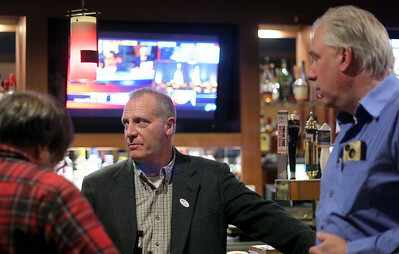 Sarah Nader - snader@shawmedia.com McHenry County Sheriff candidate Bill Prim checks the most recents results while celebrating at the Pinecrest Golf Club in Huntley Tuesday, March 18, 2014. 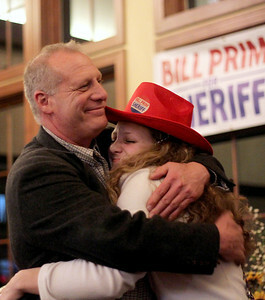 Sarah Nader - snader@shawmedia.com McHenry County Sheriff candidate Bill Prim (left) hugs his daughter, Ellie, 17, after finding out he won the McHenry County Sheriff election at the Pinecrest Golf Club in Huntley Tuesday, March 18, 2014.